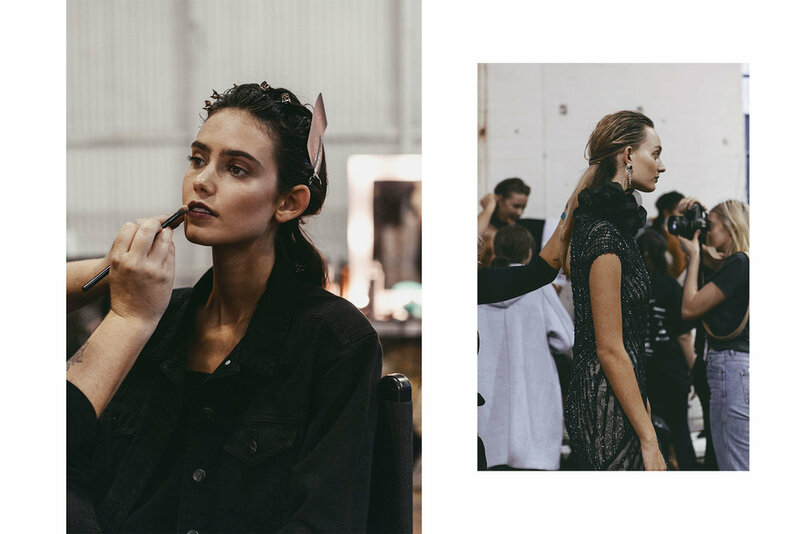 backstage at steven khalil // mbfwa 2017 — Journal by jysla kay. Backstage at fashion week is an organised chaos. There's so much going on at the same time, in each corner of the room, that photographers are constantly weaving in and out of models, trying not to get in the way of make-up and hair, snap-snap-snapping away. And what a location. Backstage usually takes place behind the runway (you know, quite literally backstage) with dim lighting and cramped spaces, but Steven Khalil backstage was above Elston Room: a loft-like floor filled the room with quickly fading natural light (I couldn't get enough of the windows). Something new for me: played around with different layouts and brushes in illustrator (inspired by talented ladies, and , I met at fashion week). Really, really enjoyed doing this — rare opportunity to combine three things I love (photography, lettering, design). More to come from other shows!